When Kulap Vilaysack was 14, she took her father's side in an argument and her mother replied, 'Why are you defending him? He's not your real dad.' Twenty years later, she's finally ready to explore what that means. 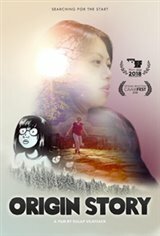 ORIGIN STORY is a feature-length, international quest - with stops in Los Angeles, Minnesota, and Laos - to meet the biological father she never knew. On the road, unforeseen revelations strike as hilarious or heartbreaking, rarely in between.